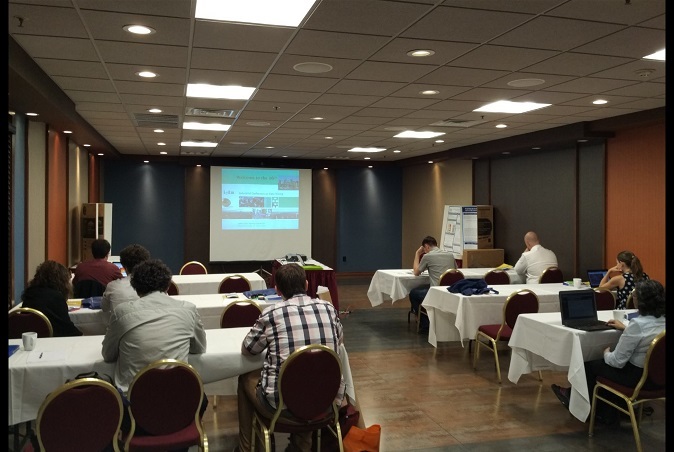 In this blog post, I will provide a brief report about the 16th Industrial Conference on Data mining 2016, that I have attended from the 13 to 14 July 2016 in Newark, USA. The Industrial Conference on Data Mining is an established conference in the field of data mining. It is the 16th edition of the conference. 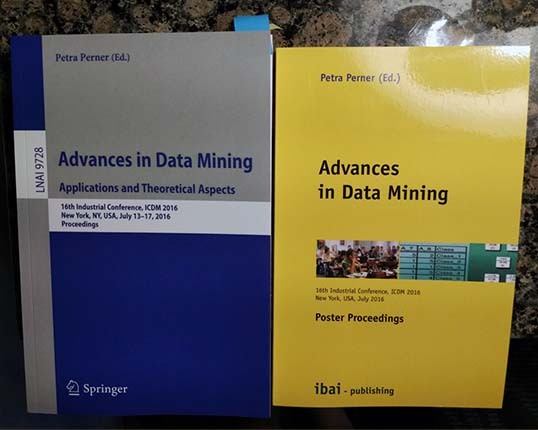 The main proceedings are published by Springer, which ensures that the conference proceedings are well-indexed, while the poster proceedings are published by Ibai solutions. The acronym of this conference is ICDM (Industrial Conference on Data Mining). However, it should not be confused with IEEE ICDM (IEEE International Conference on Data Mining), which is one of the top data mining conferences. 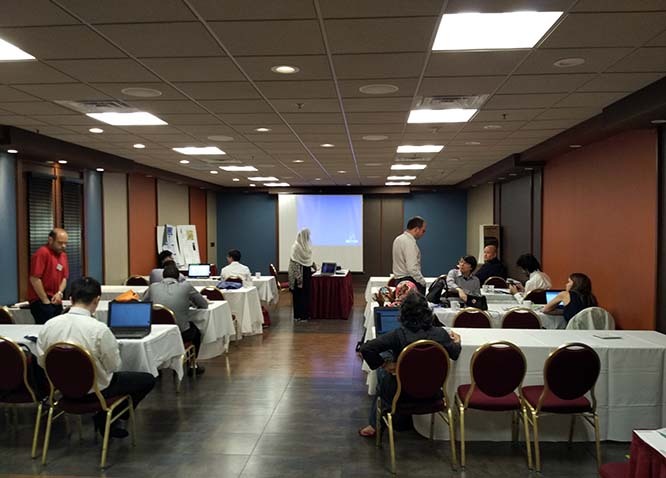 Although it is claimed that the conference is in New York on the website of the conference and proceedings, the conference was actually held in Newark, which is about 45 min from New York by train. This is not the best location. The conference was held in a hotel close to the Newark airport. The only way to get to New York from there is to take a shuttle to go back to the airport and then a train to New York, which takes about 1 hour. I guess that the location is in Newark because it is close to the airport and also cheaper than renting a hotel in New York. However, the drawback is that there is nothing to do in this area during the evenings. The Ramada hotel, used fo the conference is surrounded by highways and railways, and it is hence impossible to walk anywhere from the hotel. The only buildings beside the hotel is two other hotels, a parking, and a prison. 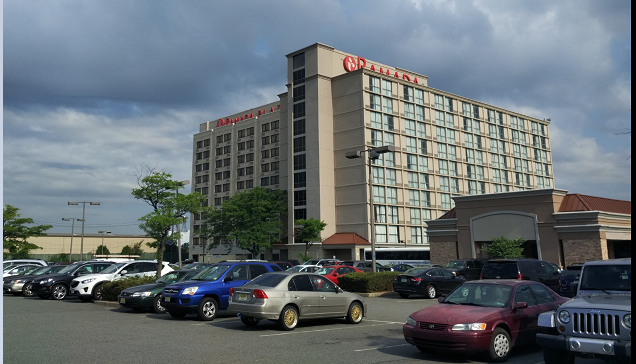 The conference location, a hotel surrounded by highways and railways, in Newark, New Jersey rather than New York. The quality of the papers at the Industrial Conference on Data Mining has been fine. 33 papers have been accepted and it was said during the conference that the acceptance rate was 33%. It is interesting though that this conference attracts many papers related to industrial applications due to the name of the conference. There was some paper presentations from IBM Research and Mitsubishi. In the past, this conference has been held mostly in Germany, as the organizer is German. But this year, it is organized in Newark, New Jersey (as said above, it is actually 45 min from New York). It is interesting that the conference is collocated and co-organized with the MLDM conference. Hence, it is possible to spend 9 days in Newark to attend both conferences. About MLDM 2016, you can read my report about this conference here: MLDM 2016. The conference is two days (excluding workshops and tutorials which requires additional fees). The first day was scheduled to start at 9:00 and finish at around 18:00. The conference started by an opening ceremony. After the opening ceremony, there was supposed to be a keynote but the keynote speaker could unfortunately not attend the conference due to personal reasons. Then, there was paper presentations. The main topics of the papers have been applications in medicine, algorithms for itemset mining, applying clustering to analyze data about divers, text mining, prediction of rainfall using deep learning, analyzing GPS traces of truck drivers, and preventing network attacks in the cloud using classifiers. 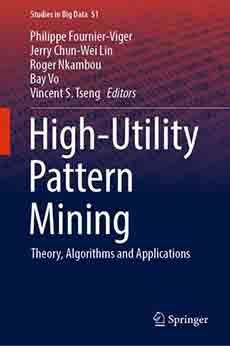 I presented a paper about high-utility itemset mining and periodic pattern mining. After the paper presentations, there was a poster session. One of the poster applied data mining in archaeology, which is a quite unusual application of data mining. Finally, there was a banquet at the same hotel. The food was fine. Since, the conference is quite small, there was only three tables of 10 persons. 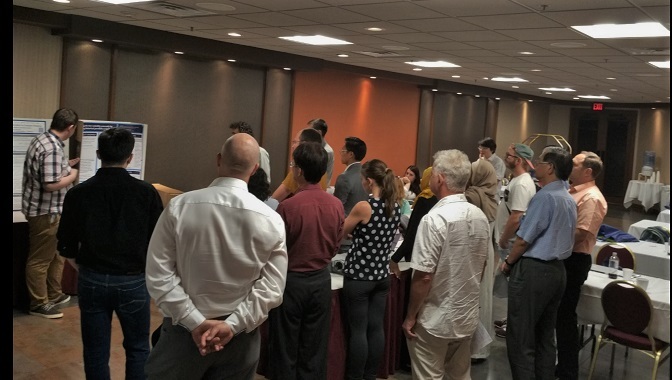 But a small conference also means a more welcoming atmosphere and more proximity between participants, such that it was easy to discuss with everyone. The second day of the conference started at 9:00. It consisted of paper presentations. The topics of the paper have covered topics such as association rules, alarm monitoring, distributed data mining, process mining, diabetes age prediction and data mining to analyse wine ratings. One thing that I think is great about this conference is that there is a 500 € prize for the best paper. Not many conferences have a cash prize for the best paper award. Also, there was three nominated papers for the best paper award, and each nominee got a certificate. 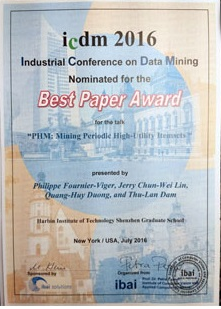 As one of my paper got nominated, I got a nice certificate (though I did not receive the best paper award). It was the first time that I have attended this conference. It is a small conference compared to some other conferences. It is not a first tier conference in data mining. But it is still published by Springer. At this conference, I did not met anyone working exactly in my field, but I still had the opportunity to meet some interesting researchers. The MLDM conference that I have also attended after that conference was bigger. If I have to choose between these two conferences, I would submit my papers to MLDM rather than ICDM as it is bigger. Very nice report and love to read your further ones.